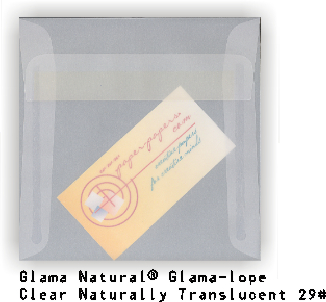 Who ever said romance is dead never saw how romantic translucent envelopes can be. Reminiscent of parchment paper, this is a envelope trend that is here to stay. Artisans and scrap bookers have long been enjoying the look and feel that vellum gives to their projects. Moreover, the direct mail industry can really pack a punch with this sort of eye-catching packaging. Nothing spells romance like a wedding invitation creatively presented in translucent envelopes. The card can have a certain design on it and the envelope can become part of that design. For example, picture a lovely opened rose on the wedding invitation. On the vellum envelope there could be two honeybees. The card and envelope work together to form a distinctive look.